Experience life through the eyes of such talented artists as Ben Seigel, Jeffrey Hemming, Eduardo Carriazo, and many more at The Oglesby Gallery, located at the Oglesby Union on the campus of FSU. The Oglesby Gallery will be showcasing “Deep Cuts” an exhibition that features the works of 20 undergraduate and graduate painters at FSU. 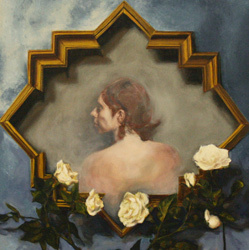 The opening reception is on February 11, 6-8pm in the Oglesby Gallery.